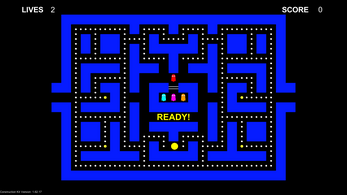 PAC-MAN CK Edition is my reinterpretation of PAC-MAN created for the Introduction to Game Engine Technology module. The game's code is fully comprised of modular code blocks provided by the lecturer, collectively known as the Construction Kit. As such, it does lack certain features, especially the complexity of the ghost AI that is found within the original game. My final mark for the submission was 82%. 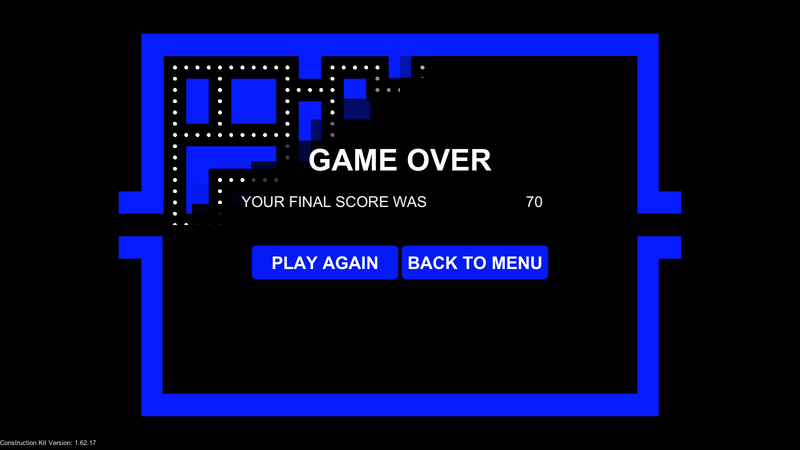 Please enjoy a browser version of the game above. 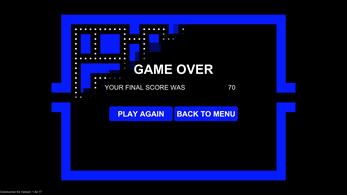 Use the arrow keys (or WASD) to move around. 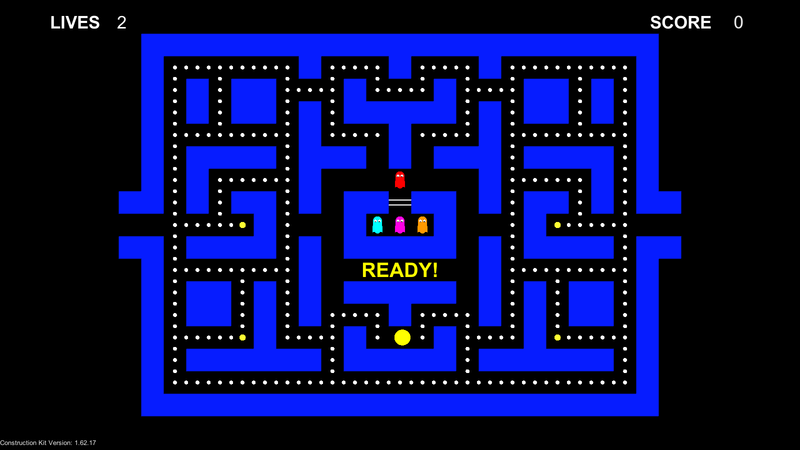 Collect Pac-Dots and cherries to increase your score! Do be careful though! Don't let the ghosts catch you. Wait, you ate a Power Pellet? Oh how the tables have turned! Eating Power Pellets lets you eat the ghosts instead. Try it! Don't get cocky... Power Pellets don't last as long in later levels.